June 18, 2018– Amanda Leveille is making a triumphant return to the State of Hockey. The former University of Minnesota Gopher, an Isobel Cup champion with the Buffalo Beauts in 2017 and the NWHL Goaltender of the Year in 2017-18, has signed with the Minnesota Whitecaps for the upcoming season. Last month, the league expanded to Minnesota, with the Whitecaps becoming the league’s fifth team. 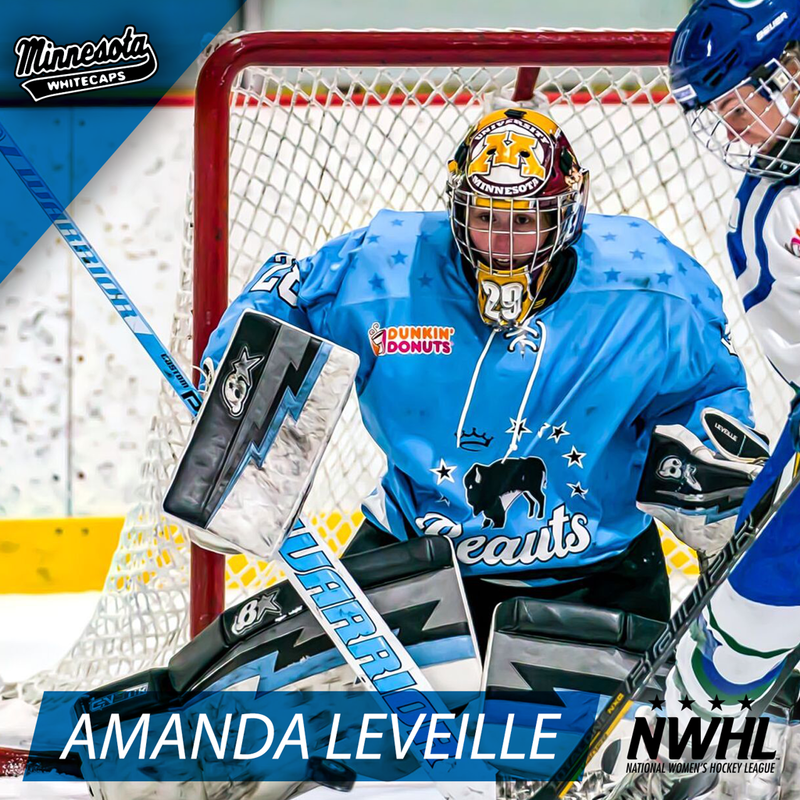 In addition to playing for the Whitecaps, Leveille works year-round training female goaltenders with Os Hockey Training in the Twin Cities. Although she is thrilled to join the Whitecaps, Leveille has fond memories from her time in Buffalo.